Today, we continue our investigation of cigars from Moore & Bode, a small boutique company out of Florida that has produced some stellar smokes. Adelante, for example, scored a rare 93 rating. Candela scored a 91. American Fire ® showcases U.S. 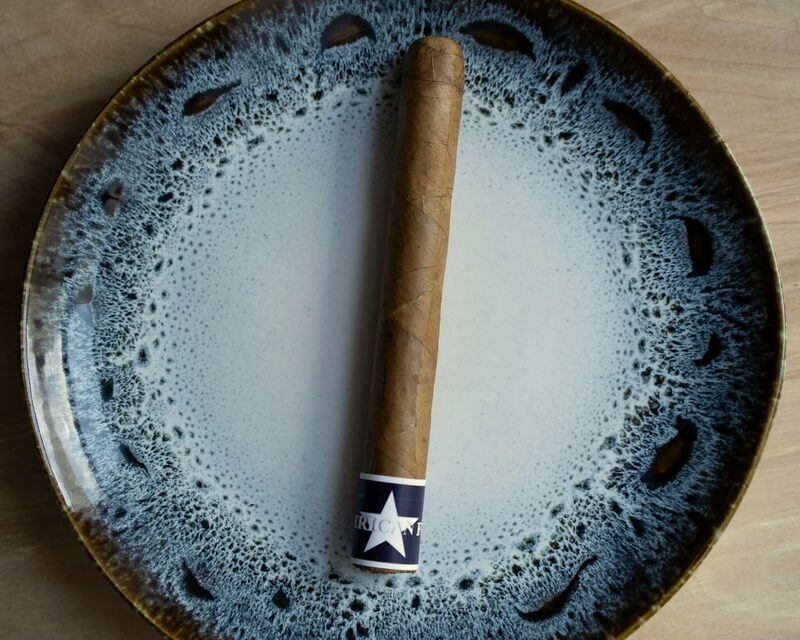 Shade Grown and Dark Fired leaf tobacco as the focal point of this cigar blend’s unique sensory experience. 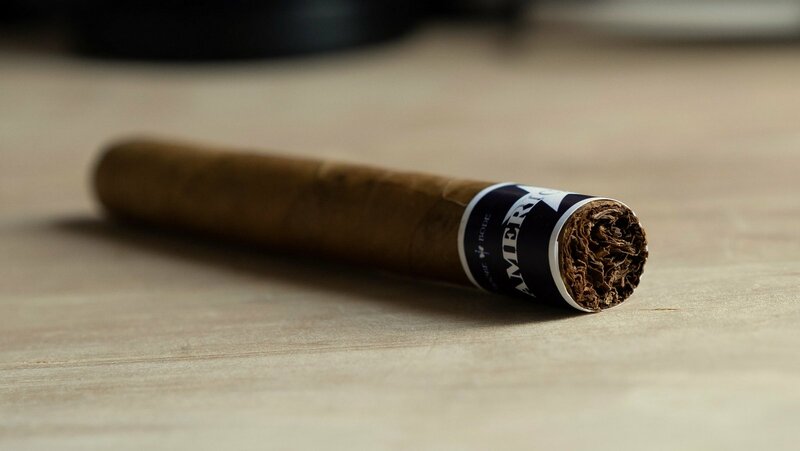 Moore & Bode American Fire ® reintroduces to the Premium Handmade Cigars category a venture into this specialized segment of leaf production and tradition in Kentucky and Tennessee tobacco farming. Now that the backstory is out of the way, let’s light up. 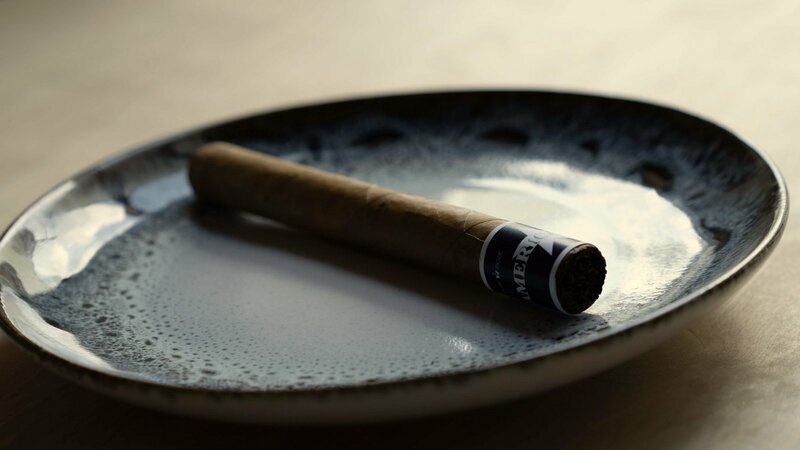 The cigar features an outer wrapper that has quite a bit of sandy texture and a few very noticeable markings and imperfections. The band on the foot is a nice touch, but the quality of the paper and the print could be improved. The logo for instance is blurry to the naked eye and there’s really no reason for that. Off of the foot, there’s some sweet grass, hickory, barn yard, an herbal note and touches of finely ground black pepper. The draw carries touches of lingering spice, plain bread and dry wood. The draw is perfect. The American Fire opens with plumes of lush, cool, flavorful smoke. In the mouth, the smoke is creamy, light, but very flavorful. There’s a nice balance between sweet cream, bitter hickory, and pepper. The retrohale is dominated by dry cedar and barbecue smoke. An inch in, the white, layered ash is holding and the burn is remarkably straight. Body of the smoke is mild, and flavor strength clocks in at medium. At times, the bitterness of the hickory gets a bit too aggressive, with a quick purge bringing it back in balance. Burning into the second third, the flavors shift, favoring fresh cut grass, cream, and a spice on the tip of the tongue which slowly fades after each puff. On the nose is hickory, toasted oak, white pepper and a variety of herbal notes. The burn stays straight and smoke production is ideal. The final third ramps the flavor up a bit past medium, with a nice smoked meat flavor coming to the fore along with some heavy black pepper. Otherwise it’s essentially unchanged until the end, which I’m happy with because the smoking experience is phenomenal. Moore & Bode proves again that the company is capable of producing cigars at the highest level of quality. It’s actually difficult to emphasize enough just how different this cigar is from anything else I’ve smoked before. What I like most about this cigar is its balance and harmony of flavors. It brings together a number of different flavors and textures masterfully to create a profile that smokes like a barbecue dinner. Construction and smoke production are effortless. Pair with Middleton to balance the pepper and hickory with sweet honey notes of Irish whiskey.